As per The National Waterways Act, 2016, 111 waterways have been declared as National Waterways (NWs) including the five existing NWs. Out of the 111 NWs, NW-1, 2, & 3 are already operational. Cargo as well as passenger / cruise vessels are plying on these waterways. The Minister of State for Shipping and Finance Shri Pon Radhakrishnan in a written reply to a question in Lok Sabha informed that 20 National Waterways out of 111 are in North Eastern Region (NER). The Minister Shri Pon Radhakrishnan informed that reduced transportation cost is an important factor among others for development of National Waterways in the country. It is worth to mention that the Government of India does not impose any tax on the transportation through waterways. The table given above shows the cost of transportation through the National Waterways is very cheaper as compared to other mode of transport. 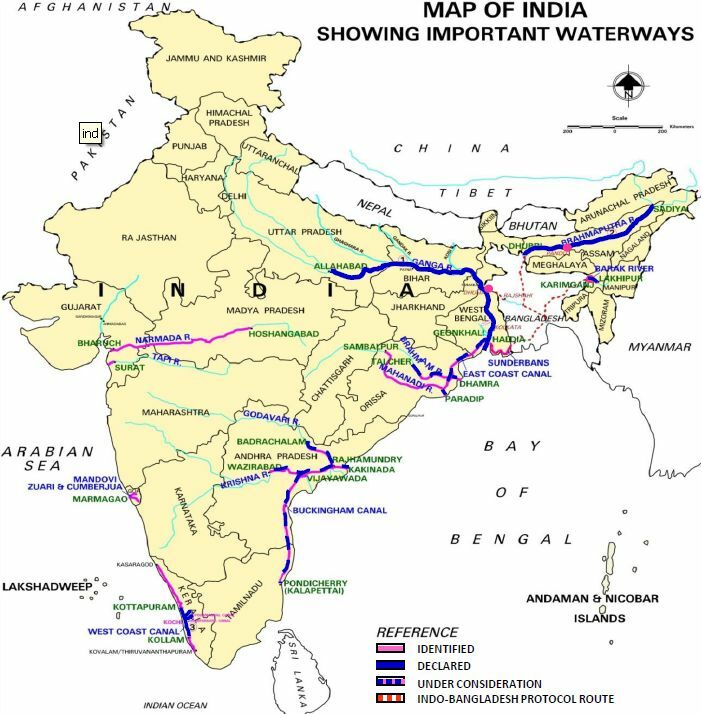 If these all National Waterways become operational then there would a tremendous cost cutting in the transport bill of the companies which will further reduce the price of many commodities. Why Indian Highways have coloured milestones? Previous Story What is Glioblastoma or GBM Grade IV cancer? Next Story What is Space Debris and its causes?